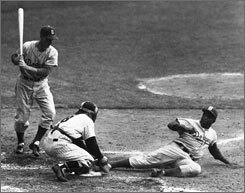 Yogi attempting to tag Jackie Robinson in the 1955 World Series, one of the most famous plays in baseball history. A great cultural icon, Lawrence Peter Berra, passed away on Tuesday, Sept. 22. He was better known as “Yogi,” a nickname attached to him for the crossed arms and legs posture posture he often assumed, giving some the impression of a Hindu holy man. Yogi Berra was a fascinating person to me growing up, partly because he was so famous that one of my favorite cartoon shows was a derivative of his name. But Mr. Berra was nothing like the sneaky bear of Jellystone Park, always scheming to steal a pic-a-nic basket despite the watchful Ranger Smith. Yogi Berra was strong, honest, courageous, and faithful. He was one of the greatest major league baseball players of all time and endured in the public eye as a celebrity because of his lovable personality and quotable malapropisms long after his playing days were over. He attended school only through the 8th grade, but his name was known by virtually everyone in America in his heyday. But he was also very brave. He never bragged about his military service, but he was there on D-Day, June 6, 1944, seeing action on both Omaha Beach and Utah Beach. He was there for one of the most horrific days in the history of the world. Nineteen years old. We owe him. Many baseball teams do not expect much offense from their catchers, seeing them as primarily defensive players (Jesus Sucre, the current catcher for the Seattle Mariners has a batting average of .132 right now). Yogi Berra was a key hitter for the great Yankees teams of the 1950s. When playing in the minor leagues, he once batted in 23 runs in a double header. The man could hit. One the defensive side, his career percentage for throwing out players trying to steal second base was 49%, one of the highest of all time. Yogi was a family man. His beloved wife, Carmen, died last year shortly after they celebrated their 65th wedding anniversary. They had three sons, one who played Major League baseball (Dale) and another who played in the NFL (Tim). It ain’t the heat. It’s the humility. And maybe that last one sums up Mr. Berra. Humility. He seemed so genuine, even puzzled by his celebrity. He did not try to be anyone but himself. Yogi Berra, Rest in Peace. I’m in Idaho for the 20th Anniversary of Eagle Christian Church in the Boise area. My wife and I slipped over to my hometown yesterday to visit the graves of my parents. I had not been there for over twelve years. 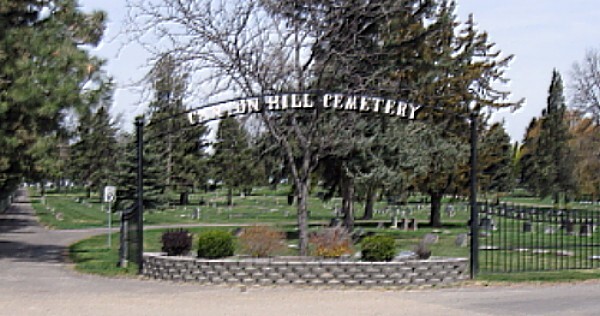 The cemetery is beautiful, overlooking the Boise River valley, and peaceful, away from the noise of streets and businesses. The cemetery has expanded since I was last there, so we had a little trouble finding the gravestone. In so doing, we walked through this newer section, and I was amazed to see many stones with names of people I had grown up with. Many classmates from high school are in the ground. Parents of friends. Church members from my home church. One Sunday School teacher. Two teachers from public school who had taught me. Memories well up as I remember the dead. 9:5 The living know that they will die, but the dead know nothing; they have no more reward, and even the memory of them is lost. 6 Their love and their hate and their envy have already perished; never again will they have any share in all that happens under the sun. He is not trying to be cruel or disrespectful to the dead. He is commenting on human life in his blunt, sometimes clumsy manner. We have often taken the phrases of these verses out of context, especially, “the dead know nothing.” In context, he is talking about us the living, not revealing something about existence after death. The living know that death is coming. Those who have died know nothing of eventual death in this sense, for they have already experienced it. No one escapes. Not everyone’s body will end up in a peaceful graveyard, but everyone will die. We all know this. Walking among the dead is a stark reminder to me. I, too, will die. A great fear of death that Ecclesiastes addresses is that we will be forgotten. This is why we dedicate land for burial and put up memorial stones. Each stone indicates the story of a life, some well lived and some wasted, most somewhere in between. We do not want to be forgotten. Jesus spoke of existence after death as being in the “bosom of Abraham.” Not forgotten but embraced. Not rejected but cherished. God will not abandon us at death, but embrace us and cherish us. I really don’t know what life after death will be like, but I am not afraid. Maybe a little. But walking among the dead helps. They are not forgotten. 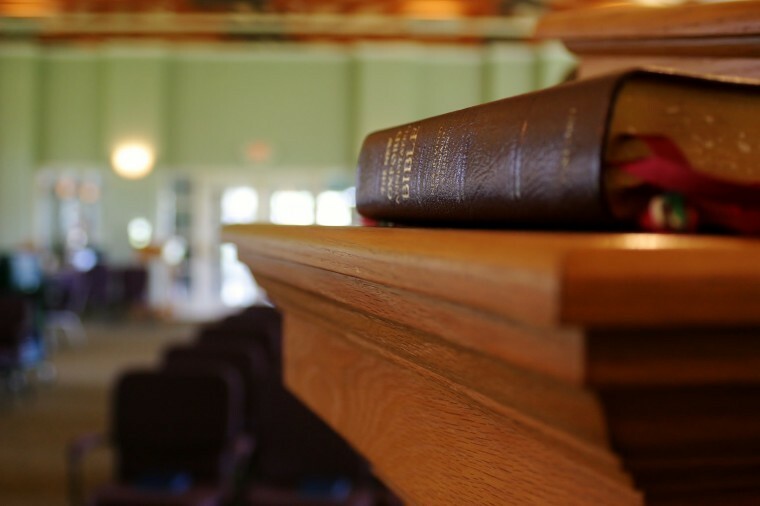 What sort of preaching does the American church need? Despite predictions of the end of preaching, evangelical churches still feature weekend worship gatherings in which the most prominent component is a address by a speaker. And this is still called the “sermon,” but it has morphed into something quite different than an exposition of the Bible that was the standard even twenty years ago. Instead of exploration and exposition of the Bible, many sermons today go a different direction. Frequently found is the topical approach in which the preacher comes up with outline based on related points of Christian advice and then strings reliable proof texts together to give the impression of biblical support. Also popular are messages that promote a supposedly Christian position on political issues (e.g., support of Israel) and are tinged with patriotism and affirmation of American exceptionalism. A newer trend is what one of my friends called “preaching the announcements,” in which the 30 minutes of face time with the congregation are used to promote the programs of the church, especially things that would contribute to church growth. Why is this significant or important? It seems to me that there has been an almost systematic destruction of any form of biblical teaching in our churches in the last three decades. Few churches have any vibrant adult education programs and the idea of “Sunday School” for all ages seems quaint and unnecessary. This has made the sermon the primary and solitary opportunity for church members to have direct and skilled teaching of the Bible. Therefore we now have “teaching pastors” and the sermon has been replaced by the “morning lesson” in some churches. Even this seems to be slipping away. The sermon is less filled with theological truth derived from God’s word and more full of preacherly wisdom derived from other sources. But why should we preach the Bible anyway? What’s the big deal? Let me offer one compelling reason. A central task and responsibility of the church is to disciple its people. The word “disciple” is better translated “student,” so the process of disciple-making has teaching at its core. It would seem to me that an essential part of making non-Christians into disciples of Christ would be to help them become more godly in their lifestyle, attitudes, and priorities. How do we do this? I think we begin the process of teaching people to be godlike by showing them what God is like. This must come from Scripture. Remember that theology is simply the attempt to understand what God is like, and the finest resource is his Word. Theological Preaching = teaching people what God is like. Unfortunately, the understanding of God held by any church member is derived from many sources other than the Bible. Chief among these are snippets about God from popular culture such as movies (Morgan Freeman for God anybody? ), hip-hop music (Jesus Muzik), and social media (let’s do a quick poll on what we think God should be like, OK?). We are likely to have a view of God that makes him supremely non-judgmental while being too remote and busy with other stuff to care about us personally. So preachers, let’s do the hard work of developing interesting biblical sermons. This cannot be done in 60 minutes a week. It also cannot be done on the fly while you are up front. It takes diligence, concentration, and a deep love for God’s Word. And it means you will need to find another venue for your announcements than the weekly sermon. Almost all theology is based in metaphor. This is not because theology = fantasy but because this type of language is all that is available for the task of describing God. As I sit typing this, I could describe myself in concrete language: wearing khakis, a black polo, freshly shaved, graying hair … etc. But I have few such concrete terms for God, so I must take terms from my experience, my world, and apply them to God in ways that help me understand him. When I quote John to say, “God is light,” I am not making a statement that requires a degree in physics to understand. I am making a metaphorical statement about the purity and intensity of the presence of God in my world. Redemption (ἀπολύτρωσις, e.g., Rom. 3:24). This is a metaphor drawn from the slavery system of the ancient world and refers to the buying back of a slave and perhaps releasing him. Reconciliation (καταλλαγή, e.g., 2 Cor 5:19). In context of 2 Corinthians 5, this is a metaphor drawn from the world of diplomacy, ambassadors working on behalf of kings. Forgiveness (Remission) of Sins (ἄφεσις, e.g., Acts 2:38). This word means “release,” and had several applications in NT times, including the word for “divorce.” Theologically, however, it is drawn from the financial world to bring up the metaphorical image of cancelling a debt. Names in Book of Life (τὰ ὀνόματα ἐν βίβλῳ ζωῆς, e.g., Philippians 4:3, also Rev 21:27). This is an metaphor from the government world of censuses, keeping lists of persons enrolled as citizens. Aside: do we really think there are giant dusty volumes in heaven with names inscribed by angels? Haven’t they updated to Windows 10? Justification (δικαίωσις, e.g., Romans 4:25). This is a metaphor drawn from the legal world and refers to the acquittal of a person charged with a crime. There are many other such metaphors used to describe a restored relationship with God: gospel (good news), salvation, ransom, transformation, restoration, peace, etc. But here is the kicker: these are all talking about the same thing! We use the arenas of language available to us in theological ways to describe this renewed relationship. Through faith in Christ, we are no longer alienated from God. One of the problems for Evangelical Christians has been to see everything exclusively through the lens of Paul’s understandings. This is particularly true here, and the forensic language of “justification” has trumped all others for most Reformed theologians. This is reductionistic and misses the richness of the Bible’s other metaphorical descriptions. The references above serve to show that Paul employed many metaphors for salvation. Some are unique to him, leading us to think that he might have coined them himself using his fertile metaphorical imagination (metaphor from agriculture if you didn’t notice it). So let us not park exclusively on the idea of God as a Judge who has pardoned us. He is also a Father who allows us to call him Abba (Daddy). He is also a rich person who adopts us as his heirs. And I have not come close to exhausting the metaphorical language. Note: due to my responsibilities as the Academic Dean at Nebraska Christian College and Crossroads College, I have neglected to blog much for the last several months. Our NC accreditation review is almost done, and I intend resuming weekly posts. Thank you for your patience.